With an annual tourist count well in excess of 14 million, Myrtle Beach has no shortage of attractions for visitors and residents alike. Myrtle Beach’s oceanfront area, known as the Grand Strand, is a particularly popular option as it offers dozens of miles of pristine white sandy beaches, and a sparkling Atlantic. But that is not all. The entire oceanfront stretch offers a slew of top notch amenities and attractions including restaurants, shopping arcades, stunning golf courses, and much more. 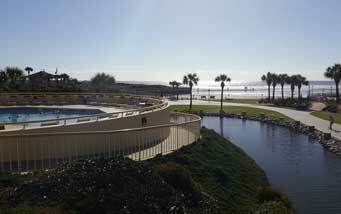 Read on to learn more about what oceanfront living in Myrtle Beach could be like. 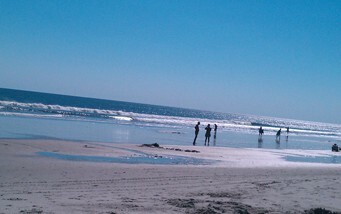 Millions of tourists head down to Myrtle Beach to indulge in some retail therapy. And for very good reasons. 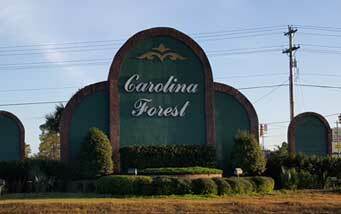 The oceanfront areas in Myrtle Beach is home to some of the best high end boutiques and upmarket labels. There are a number of stunning malls and shopping arcades where you can not only get irresistible discounts and bargains but also enjoy fine dining and nightlife opportunities. Myrtle Beach Boardwalk, Broadway at the Beach, Barefoot Landing and Grand Strand Flea Market are only some of the most popular shopping destination along Myrtle Beach’s oceanfront. 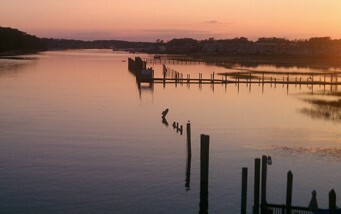 Myrtle Beach really stands apart when it comes to live entertainment options. Rivaled only by Las Vegas and Broadway, Myrtle Beach is lined with some of the most renowned theaters offering a host of family friendly shows. Whether it is drama, musicals, dancing, or comedy, Myrtle Beach theaters have something for everyone, 7 days a week. 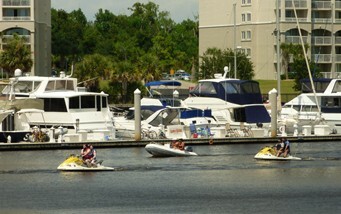 Water sports activities are a given when you live minutes away from the oceanfront. 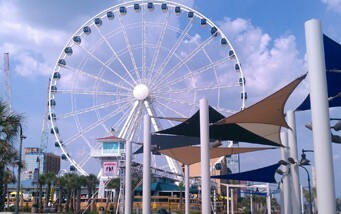 Even so, the range of adventure and watersports options available at Myrtle Beach remains unmatched. Whether it is para-sailing, skydiving, fly-boarding, jet packs, jet skis, kayaking, fishing charters, or surfing, living at Myrtle Beach oceanfront means that you can enjoy them whenever the mood strikes. More than a sport, golf is a lifestyle must-have for many of us. And living in Myrtle Beach’s oceanfront means that you are right in the heart of a lifestyle that revolves around beaches and golf courses. 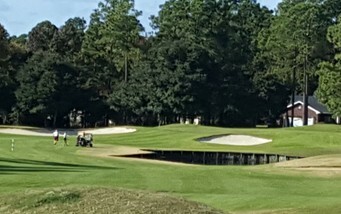 The Grand Strand is home to almost 100 golf courses along its scenic coast, catering to players of all skill levels. 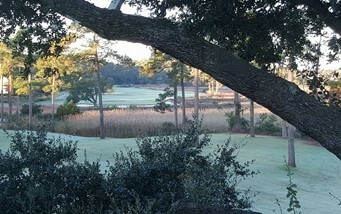 You will find some of the most drop dead gorgeous courses, the most challenging courses, and courses designed with women in mind along the Grand Strand. In addition, There are several miniature golf courses for the whole family, as well as par 3 courses for the more casual players. 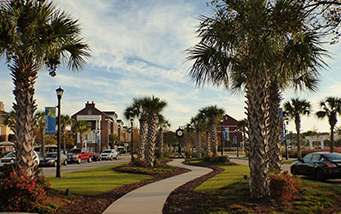 Whether you are buying property as a second home or relocating at Myrtle Beach to live, you will find plenty of reasons for investing in a home at the Grand Strand. Ranked as the 9th fastest growing metropolitan region in all of United States, grand Strand is expected to see more than 2500 households between 2015 to 2017. The growth in real estate market points to underlying strength of local economy as well as the opportunities lying ahead, and you can be sure that you investment would pay you back both in terms of quality of life as well as future returns. 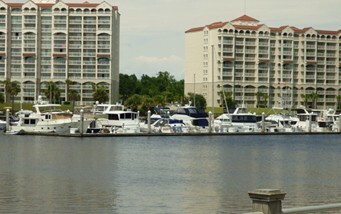 No matter what your need, whether single family homes, vacation homes, or simply looking to retire at the beach, you will find something to your liking at the Grand Strand.